We are currently not expanding on our Sponsorship Portfolio, however if you have a proposal to send email to Colin Hodges by clicking HERE. Sponsorship Packs are also available to purchase, click HERE for more info. T & C's apply. Teng Tools is proud to be an official supplier for Emirates Team New Zealand in defending the America's Cup in 2021. Emirates Team New Zealand have chosen Teng Tools to fit-out their base with one of the most systematic tool storage modular systems on the planet. 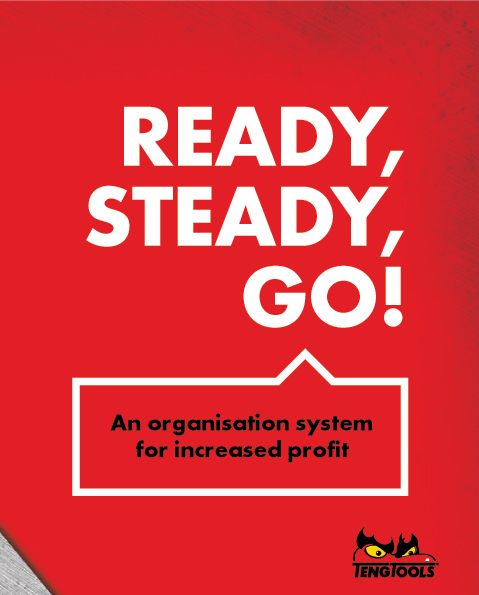 Embracing the concept "READY STEADY GO!" 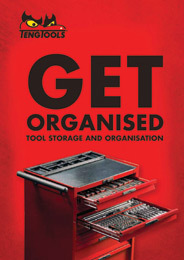 Teng Tools solution was industrial quality workshop units designed to integrate into the Teng Tools Concept of Get Organised. "READY STEADY GO!" is developed as a modular system allowing you to build the ultimate workshop that can adapt to your everyday needs. You want the manufacturing process to flow like it should. To get that, you need a perfectly tuned workstation. For some, things organised perfectly might seem boring, but when it comes to get things to run like clockwork, it's vital. Welcome to our world Emirates Team New Zealand! New Zealand’s Ultimate Automotive event! Hot Rods and custom vehicles will once again take pride of place in the Teng Tools Grand National Rod & Custom Show hall along with new car reveals, guest appearances from VIP motorsport stars, non stop entertainment, competitions galore and CRC Speedshow will definitely fuel your passion, one way or another! Check our website for the latest news, or sign up for regular newsletters and it will sent direct to your inbox. Alternatively, you'll find Speedshow on Facebook, Twitter, YouTube, Pinterest. Just 9yo from Gisborne, our next Greg Murphy?? Time will tell! "Ninetysix Motorsport greatly appreciate the support Teng Tools has given our team. To get the best performance out of our racing programme we need to use the best products which is why we value our association with Teng Tools so highly"...Wade Jennings. Formula E in Auckland, provides you with the only opportunity in New Zealand to drive new generation, state-of-the-art, Italian designed Indoor Race Karts. "We’re excited to have our good friends from TENG TOOLS back on board as the major sponsor for the Open A1GP, now known as the Teng Tools Open A1GP." says Phil Buckley, owner of formulaE Raceway. "So, if you’re looking for some new tools for your workshop, take a look at the new prize display cabinet on site here. Set your sights on a podium finish to win that new addition to your toolbox!" The Teng Tools Open A1GP is held on the last Tuesday of every month – 7:00 pm onwards (Intermediate series – open to anyone). Conveniently located near Auckland Airport, Formula E is the perfect place to hold your corporate event, sales meeting, staff/customer thank you, or to simply arrive and race. It’s also a great place to have a celebration, birthday party, bachelor/hen party, fundraiser, or any other event. It’s indoor karting like no other.